So, is summer over? Or, is this just a day on the calendar like any other? With the weather over the weekend, I’d say summer is here for a while. I got out for a kayak paddle around Duck Lake again on Sunday morning. It was a quiet morning, not much in the way of wildlife. Here are some of the “keepers” from the morning. 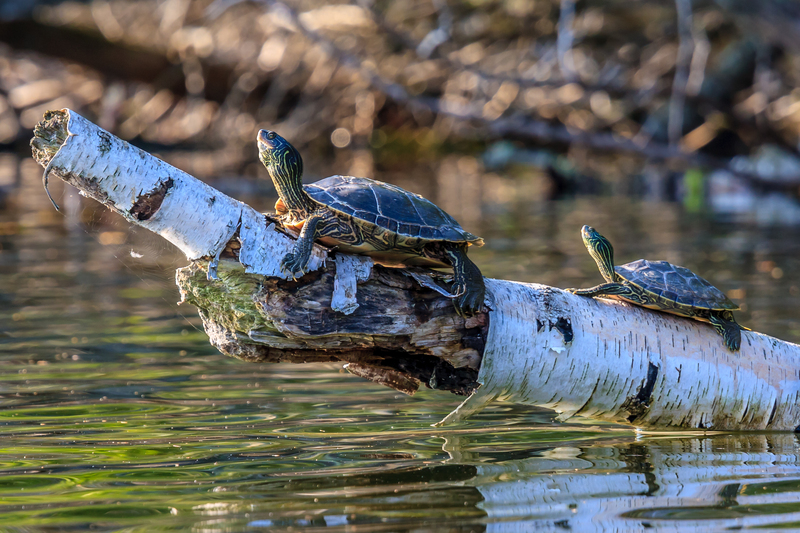 This pair of turtles were balanced on a birch log sticking out of the water. 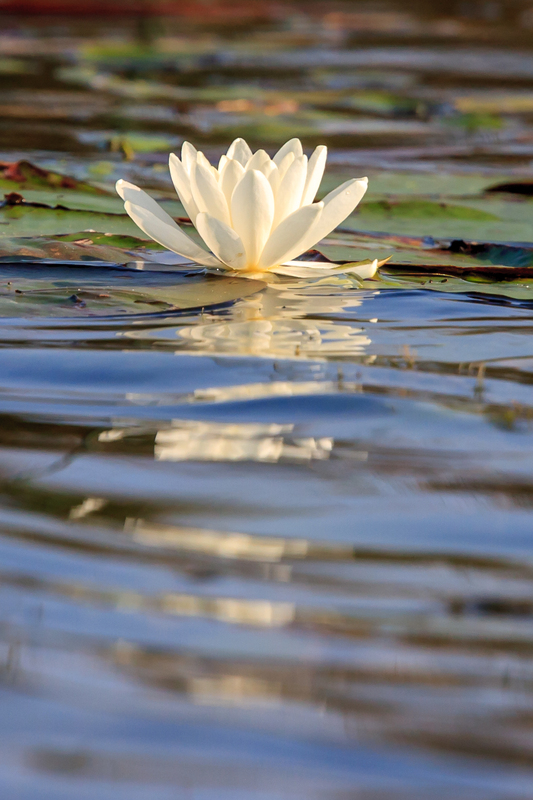 A white water lily is reflected in the ripples of Duck Lake. It is probably one of the last ones of the summer. 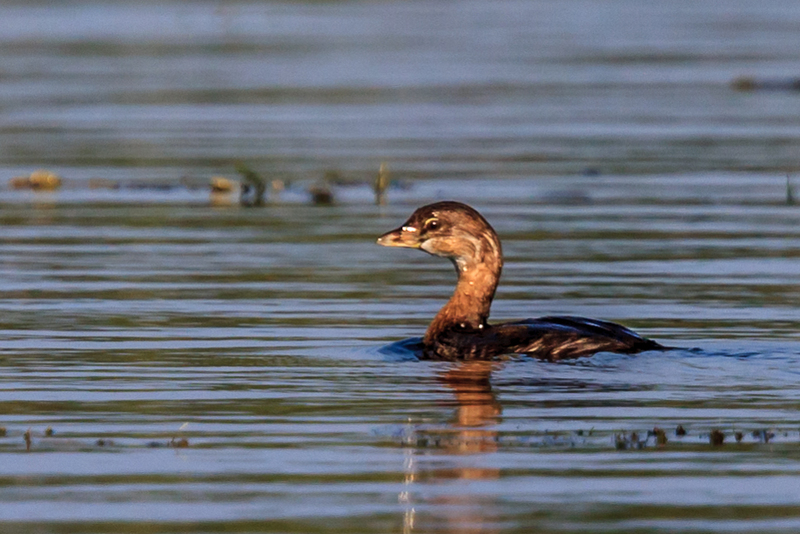 I don’t know what kind of duck this is, but it was diving for breakfast as I watched. 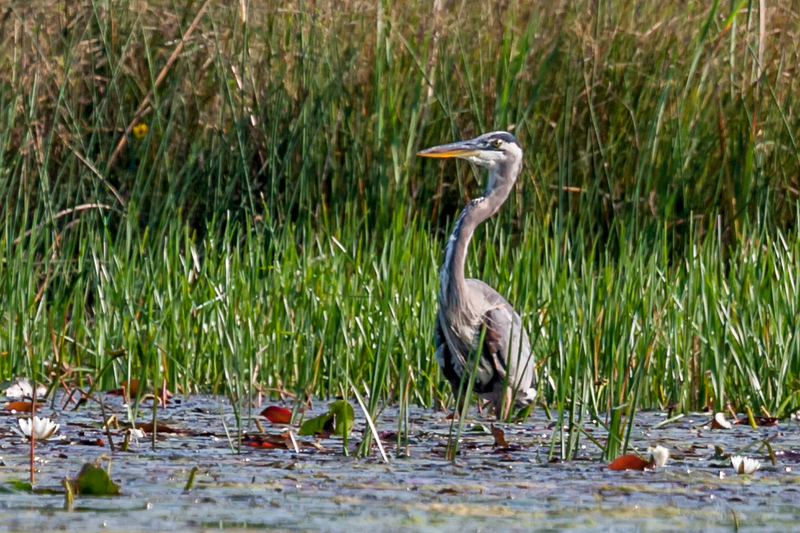 This heron was across the southern bay of Duck Lake looking for breakfast. I hope everyone had a great holiday weekend. This entry was posted in Orchestra Camp Colony and tagged Duck Lake, Ducks, Heron, Nature, Water Lily. Thanks, Celia. I’ll try to keep posting this fall and winter for all you snowbirds. Safe travels. Thank you, Karen. I love these water lilies, but they were mostly gone this weekend. Hi Mark, glad that you had a good weekend at Duck Lake. So did we. Several good days for kayaking and fishing. I didn’t see much in the way of wildlife, either, other than an immature eagle in the south bay, lots of turtles, some loons, and a couple of cormorants down in our bay. Yesterday was a good day to leave the lake behind, as it started raining in the morning and the weather followed us all the way home to Indiana. I think that was the end of summer weather in northern Michigan. Next up….probably leaf raking. Jane – I hope this isn’t the end of summer. OK, we may not have any more 90 degree days (and that’s OK), but I am hoping for some nice weather ahead, then beautiful fall colors. You’ve outdone yourself with the water lily photo. Stunning! Thank you. As I said above, I love these white water lilies, but it’s hard to find one that is in really good shape and then get the good lighting like this one. I echo the praise of your latest pics and the gratitude for sharing them with all of us. I totally agree with Don that the waterlily pic is stunning.